The Focal Dimension 5.1 Soundbar and Subwoofer are a potent and attractive combination for applications requiring dynamic full-range presentation in a space-friendly package. 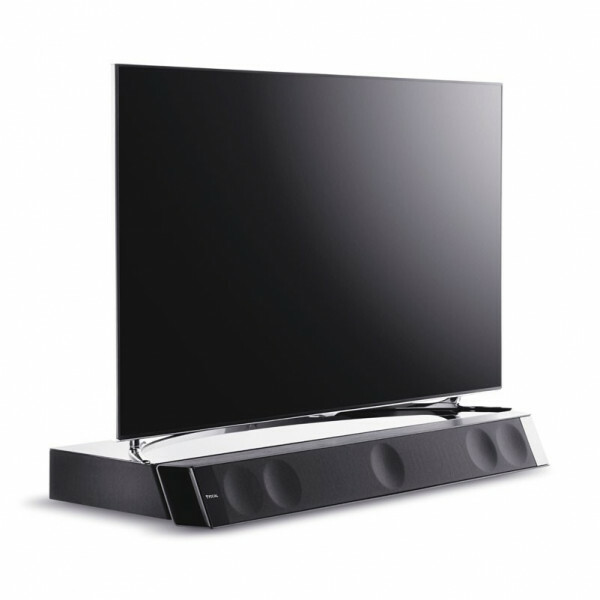 The 5.1 channel powered soundbar/subwoofer combo connects to a TV via HDMI or Digital Optical Toslink. Like other soundbars, it’s designed to sit on a cabinet underneath a TV. The system can also be installed on a wall. The French-based Focal-JMLAb is an established brand in the high-fidelity audio market. Its flagship Grande Utopia is considered to be one of the best speaker systems in the world. The Focal Dimension Soundbar/Sub combination is the company’s only soundbar; Focal also offers compact and attractive separate speaker/subwoofer packages designed for home theater. Unpacking and setup is straightforward. Unlike some mass-market soundbar/sub packages, the Focal combo ships in two packages: one for the soundbar, and another for the subwoofer. I had the soundbar and subwoofer up and running in under 30 minutes. This included what seemed like an eternity fiddling with the soundbar’s tiny spring-loaded connections for the subwoofer wire, though of course it wasn’t but a few minutes. (You may want to enlist someone with small fingers and patience to help with this part.) Don’t forget the two small brackets that slide into the back of the soundbar to stabilize the unit on a cabinet or tabletop. The soundbar comes with a tiny wireless remote for controlling on/off, volume, and input settings. You can control the same functions by using the motion-activated touch screen control panel on the front right side of the soundbar. The passive subwoofer features two 8″ x 3″ oval drivers with a stated range of 30-110Hz. It connects to the soundbar by way of a short length of wire pair and spring-loaded terminals. (The terminals on the subwoofer are much more user-friendly than those on the soundbar.) Focal says the sub unit incorporates an “Anti-vibration System.” The long, flat cabinet tucks in behind the soundbar, hidden from view. It even doubles as a base for a TV, supporting units up to 121 lbs. It fit neatly and unobtrusively under my 50″ wall-mounted Samsung TV, with about 1 1/2″ inches to spare. I was pleasantly surprised by how much I enjoyed the sound of this Dimension soundbar/subwoofer package. On a variety of material, it proved its strengths: open and powerful surround sound characterized by articulated highs, natural-sounding midrange, and extended lows. 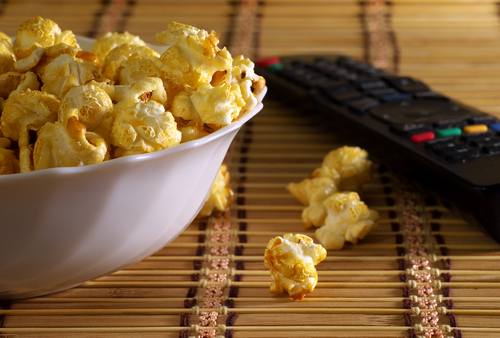 It was easy to sit down and become engrossed in some of my favorite movies or TV shows, or whatever my kids happened to be watching. I found myself gravitating to this setup more so than I did when running my much less expensive Vizio 2.1 soundbar, for obvious reasons. We thoroughly enjoyed watching Alice Through the Looking Glass together; it’s one of our family favorites of late. It was nothing short of the immersive experience its producers likely hoped to summon. I’m a big Tony Bennett fan, and I’ve come to enjoy The Zen of Bennett, a documentary about the then 85-year-old jazz singer. I zeroed-in on his duet with Lady Gaga, on “The Lady is a Tramp.” Through the Focal soundbar, Lady Gaga’s vocal hit with impressive impact. Seemingly ordinary nature documentaries like BBC’s Frozen Planet, with its lush orchestral score and rich natural sounds, really come to life through this soundbar. Those seeking waves and waves of volume won’t be disappointed, particularly in smaller rooms. The Dimension played quite loudly in my 13″ x 13″ secondary TV lounge. It can sound harsh when pushed too hard, which is perhaps a consequence of all the drivers being situated in close proximity to each other – not something that can be avoided when it comes to soundbars. If I have one complaint about this system’s performance, it’s how small it can tend to paint a single vocal. The vocal is centered and stable, but often tiny and a bit distant. This isn’t a major objection, especially when you consider how poorly voices can sound coming from built-in TV speakers. And because the drivers are so small, it wouldn’t be fair to expect a fuller presentation of vocals. Still, I hoped for more. The designers at Focal had the foresight to include a number of features you may not find in other soundbars. For example, the Dimension Soundbar features two HDMI inputs, so you can easily connect both a TV and a gaming console or Blu-ray player directly. While its primary purpose will typically be in a home theater setting, you can also use the soundbar to listen to music from to a Bluetooth device, for example by way of a unit like the Focal Universal Bluetooth Receiver ($130 retail) connected to the soundbar’s analog input. In this configuration, the soundbar could easily form the centerpiece of a respectable sound system in a smaller living room or apartment. You can also pair the Focal Dimension Soundbar with your own subwoofer, via a line-level subwoofer output. At a retail price of $999, this package may not be right for those on the tightest of budgets. Then again, when you start to add up the cost of separates – five speakers, a sub, and a receiver, you could easily spend much more. For those demanding rich, full-range surround sound in a small package, the Focal certainly has much to offer. Those upgrading to the Focal Dimension from built-in TV speakers or a less-capable soundbar are in for an instant treat. I envision it being a welcome and lasting addition to a bedroom or small TV room home theater setup. If you’re looking for an investment that will enliven your home theater experience, you’d do well to consider the thoughtfully-designed and versatile Focal Dimension Soundbar package.